We delude ourselves… by representing Britain as a country of idyllic villages and mellow cathedral cities and by ignoring the great swathes inbetween such sites. This is a road of which we can all be proud. As to the buildings themselves… it is usually supposed that they must of necessity be ugly. There would be no serious difficulty in making them beautiful. The M25 orbital motorway, lined with millions of trees, carries hundreds of thousands of cars every day through the Green Belt, which in turn penetrates the perimeter of the outer London boroughs.Almost a quarter of the land in the capital is designated as Green Belt. Half of this is farmland, and most of it is less environmentally valuable or publicly accessible than might be imagined. 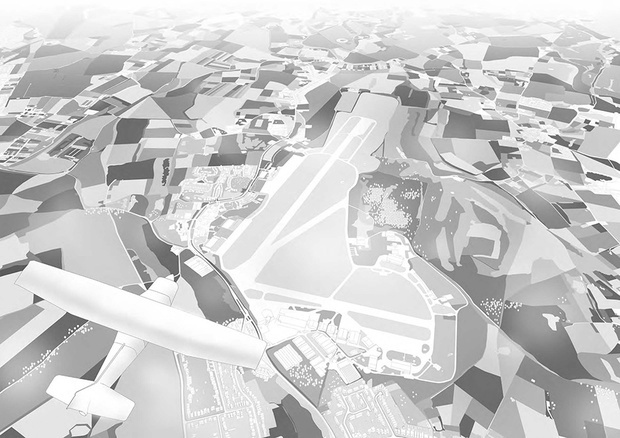 These fields, golf courses, airstrips, and waste treatment plants are increasingly under pressure from the growth of London. 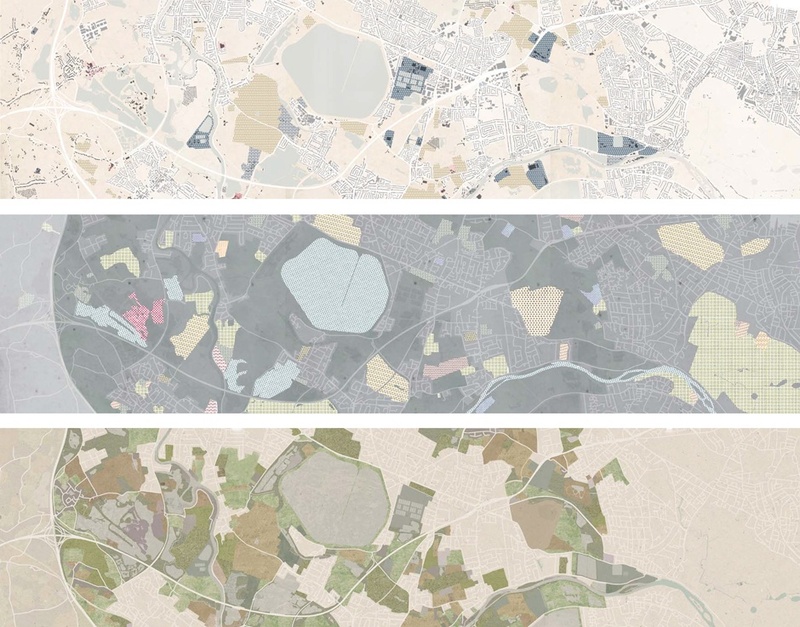 London’s Green Belt and the M25 create a series of conflicting and overlapping ‘inbetween’ conditions of town, suburb and countryside; industrial estates, factories and distribution centres between fields, and working farms at the edge of the city. In ‘News from Nowhere’, William Morris imagined a future England as a productive garden of decentralised light industry, where beautiful factories would act as centres of education and harmonious communal gathering. 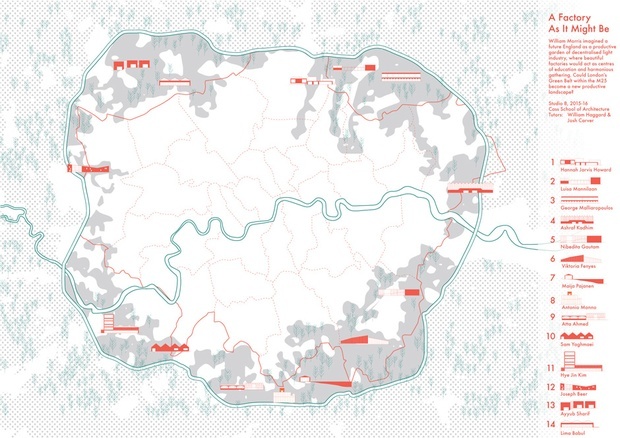 Does London’s Green Belt provide the starting point for a new productive landscape? 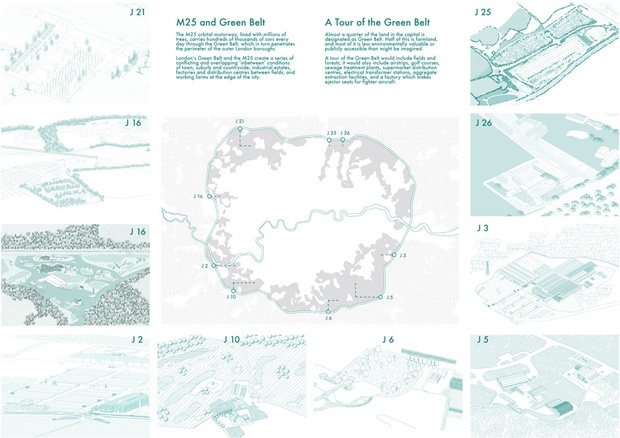 Each student explored and mapped a strip of this zone, from the M25 to the innermost edge of the Green Belt, studying its use and its contemporary vernacular architecture. Based on our research, the studio has proposed a network of new industrial archetypes across this territory, with each student designing a productive building based on Morris’s explicitly utopian vision of a Factory As It Might Be.